The game is still in an invite stage only and has over 23 million players entering the Android beta. 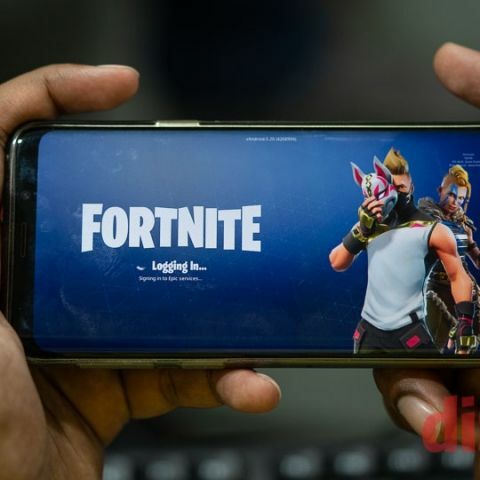 When Fortnite launched, the game was available on Samsung smartphones for a limited time. The supported Samsung devices included the Galaxy Note 9, Galaxy Note 8, Galaxy S9, S9+, S8, S8+, S7, S7 Edge along with the Galaxy Tab S4 and Tab S3. There are a limited list of devices that support Fortnite and you can check out that list here. Fortnite for Android is not be available through the Google Play Store. Samsung smartphone users can log onto the Galaxy App Store and download the game on their compatible device. Other Android users can sign up for the beta here and Epic says that those who register will receive details on how to install the game on their smartphone. If you are new to Fortnite and have never played the game, then you may need to wait for an invite before you can partake in the Battle Royale madness. Google had revealed that they discovered a very serious flax in the Fortnite Installer. The flaw would allow the installer to install any other app to a user’s phone without their knowledge. According to a report by Android Central, Google’s team of researchers first disclosed the vulnerability to Fortnite’s developer, Epic Games, in private on August 15. After receiving confirmation from Epic that the vulnerability was fixed, it released the information publicly. Does Windows phones use less power than Android power phone? Could anyone specify a good configuration for a mediocre gaming rig for less than 70000?